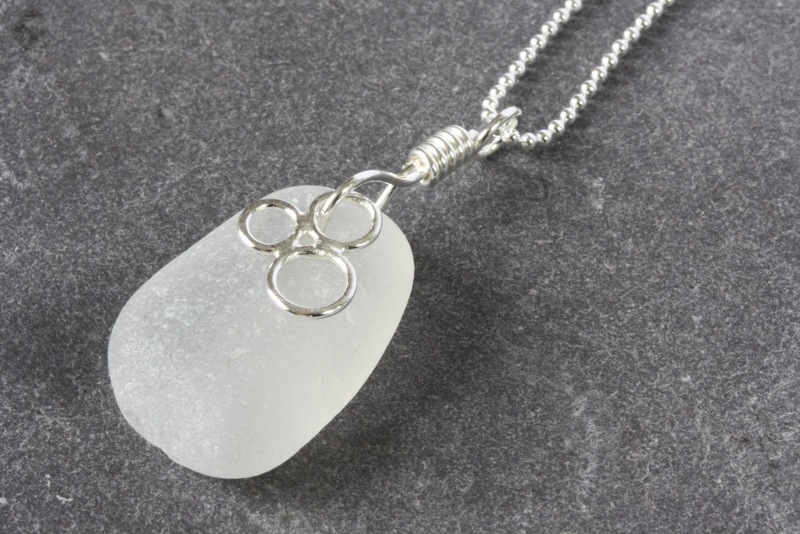 Day 55 - A new recycled sterling silver sea foam necklace featuring a beautiful white piece of Scottish sea glass. Oh, I do love the bubbles! I've started photographing new pieces for my shop and will be adding new categories so you can look at all necklaces together, all bracelets together and so on. Hopefully I will be able to integrate this into the current display of jewellery by material and make it easier to browse. When looking at jewellery online do you prefer to look search by collection (eg sea glass and silver) or by type (eg. earring)? Would love to hear what you like! Day 56 - A pile of freshly drilled and still wet sea glass. There is something so pleasing about having a big pot of glass drilled and ready to become some jewellery. There have been so many times when I have been delayed working on a piece because I need to go and drill a particular piece. Now I will be steaming ahead with the plans for this lot. There will be autumnal copper earrings on the way. Day 57 - The newly christened twin bangle; a gift commission of which I shall say no more for now . . .